Bicycle designs, prints, and cuts the world’s best playing cards. Since 1885, they’ve created the means by which people come together and enjoy unforgettable games. 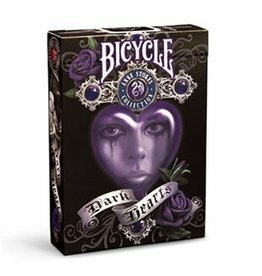 From professional tournaments to family game nights, Bicycle® playing cards are a gaming tradition. Every deck is specially crafted to perform, hand after hand. Great for all games. Great for all players.